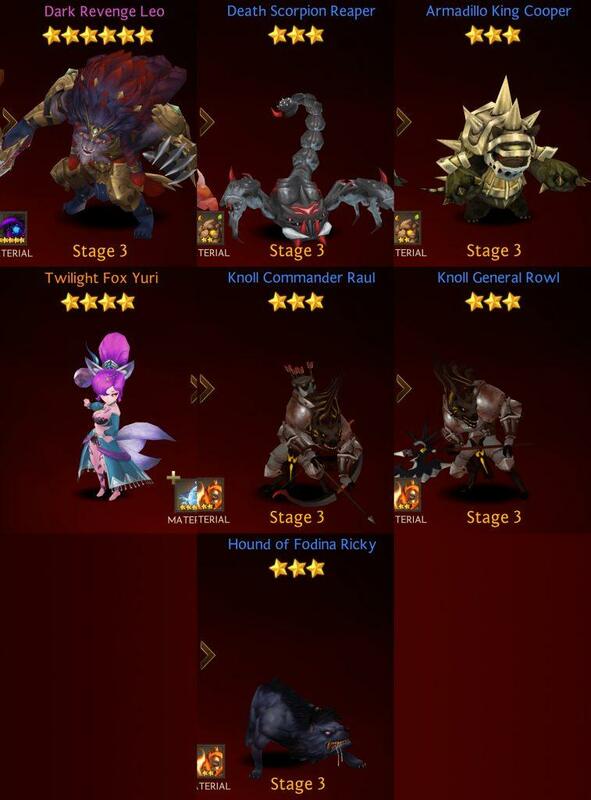 There are 7 heroes in Blazing Desert’s faction. Our Ultimate Seven Knights Hero List guides take a deeper look at the faction members & their bios, see how to evolve their ranks, learn of their special skills, plus more. Read our full review on Seven Knights for an overview of the entire game… and let’s demystify some of the complex upgrade system so you can use to your advantage! Dark Revenge Leo Universal 1231 467 270 16 Slaughter. Attack an enemy with 180% Physical Attack. 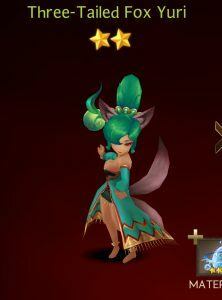 Decrease the target’s Defense by 80% at a certain rate for 2 turns. 64 Lion’s Roar. Attack all enemies with 80% Physical Attack. Decrease Damage for one target or more by 40% at a certain rate. 70 Beastial Volition. All allies become Immune to the Death debuff for 5 turns. Additionally, revive once with 100% HP. [Hard] Blazing Desert 3-10 While wandering the world after losing to Yuri, Leo met Kris, who offered him the power to have his revenge. He now returns to the desert to face his foxy foes. Beast Ruler Leo Universal 954 365 217 14 Slaughter. Attack an enemy with 170% Physical Attack. 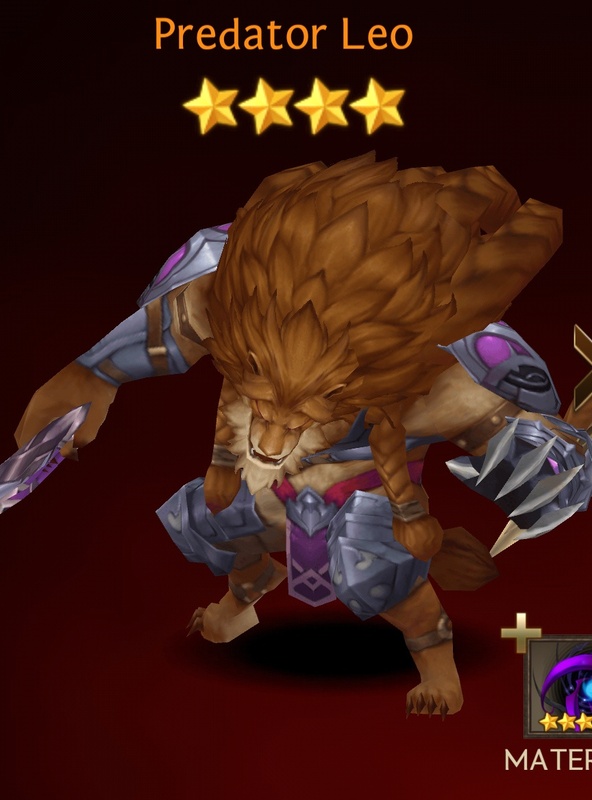 Decrease the target’s Defense by 70% at a certain rate for 2 turns. 64 Lion’s Roar. Attack all enemies with 70% Physical Attack. 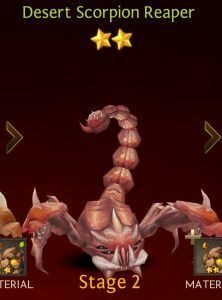 Decrease Damage for one target or more by 30% at a certain rate for 2 turns. 70 Beastial Volition. Revive once with 30% HP. [Hard] Blazing Desert 3-10 5 Star Dark Element Leo finally succedded in taking over Blazing Desert to become its ultimate ruler. Creatures residing in Blazing Desert obey his commands out of fear and respect. Predator Leo Universal 731 282 170 12 Slaughter. Attack an enemy with 160% Physical Attack. 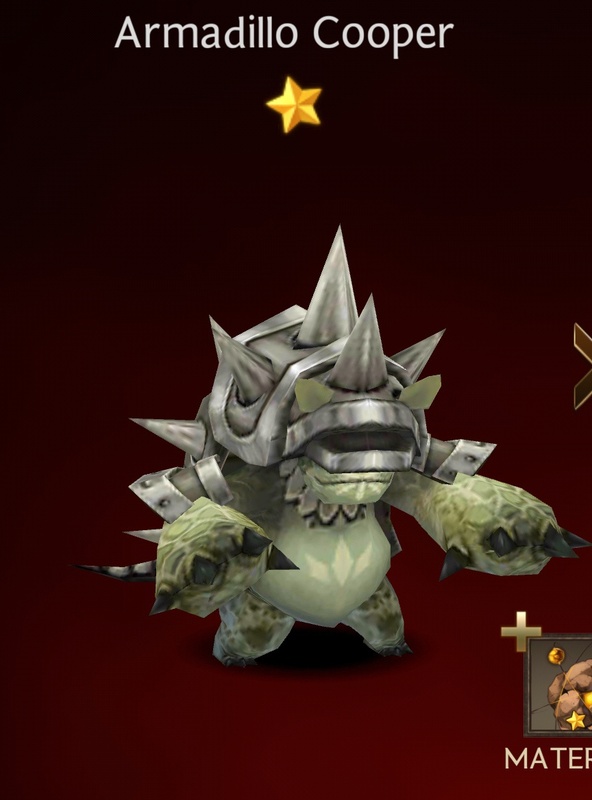 Decrease the target’s Defense by 65% at a certain rate for 2 turns. 64 Lion’s Roar. 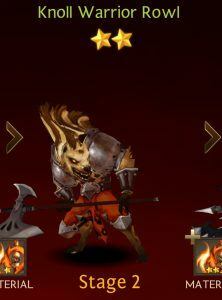 Attack all enemies with 65% Physical Attack. 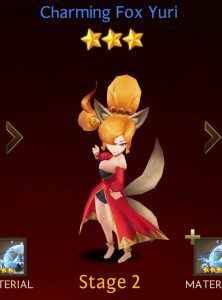 Decrease Damage for one target or more by 25% at a certain rate for 2 turns. 70 Beastial Volition. Revive once with 25% HP. 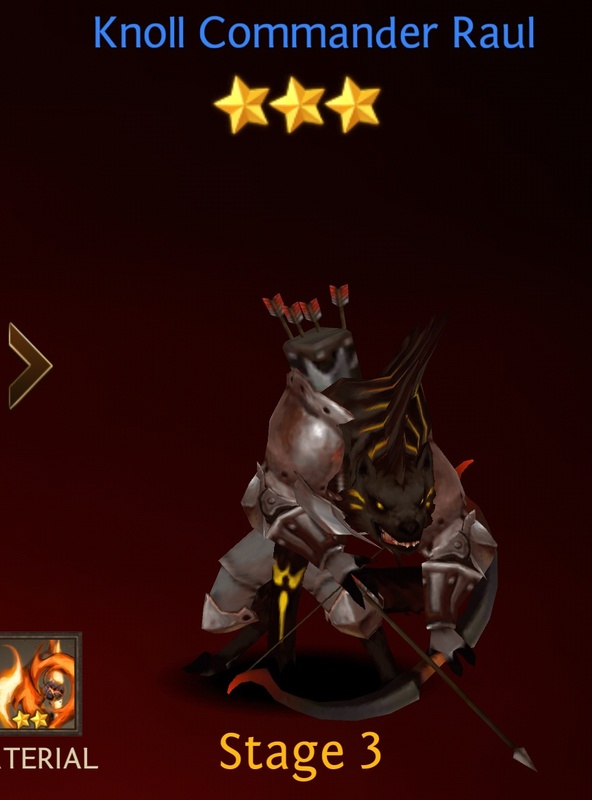 [Normal] Blazing Desert 3-10, [Hard] Blazing Desert 3-10 4 Star Dark Element He earned his title of Predator through his constant hunting and devouring of any prey he finds. Twilight Fox Yuri Magic 504 279 99 16 Spirit Drain. Attack an enemy with 150% of Magic Attack. Life Steal 80% of the dealt Damage. 60 Magic Orb. Attack all enemies with 65% Magic Attack. Silence one target or more at a rate for 2 turns. 70 Fox Charm. Decrease all enemies’ Defense by 25%. [Hard] Blazing Desert 3-5, 3-10 4 Star Water Element Using magic for 1,000 years turned Yuriy’s body blue from the exposure to mana. Her magical powers have definitely grown stronger over the years. 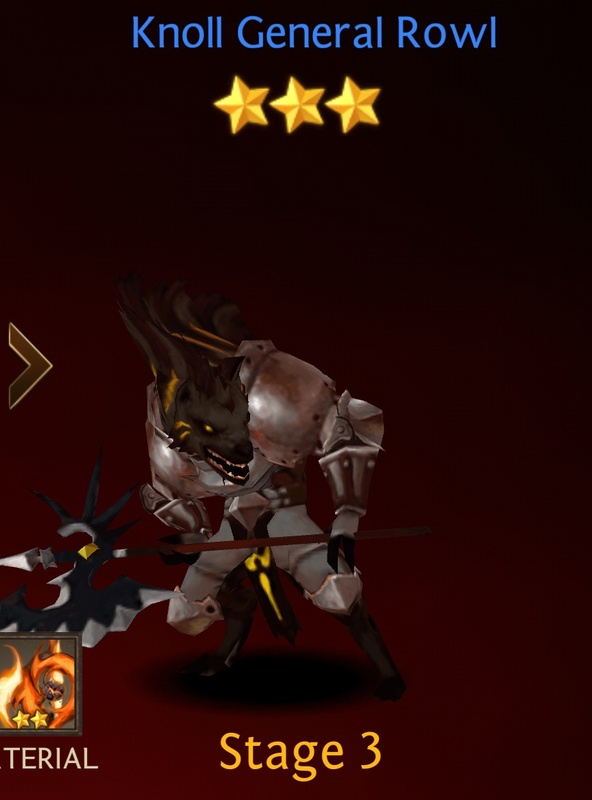 All 3-star Blazing Desert heroes do not have Passive skills. Beast Leo Universal 547 192 106 10 Slaughter. Attack an enemy with 150% Physical Attack. 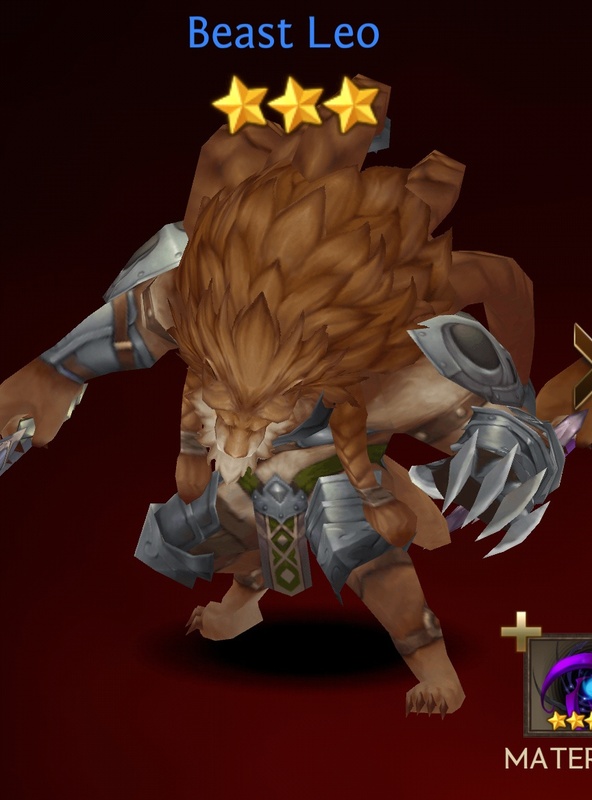 Decrease the target’s Defense by 60% at a certain rate for 2 turns. 64 Lion’s Roar. 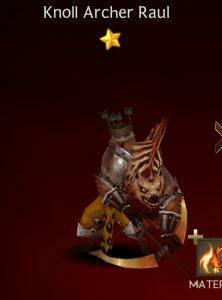 Attack all enemies with 60% Physical Attack. Decrease Damage for one target or more by 20% at a certain rate for 2 turns. 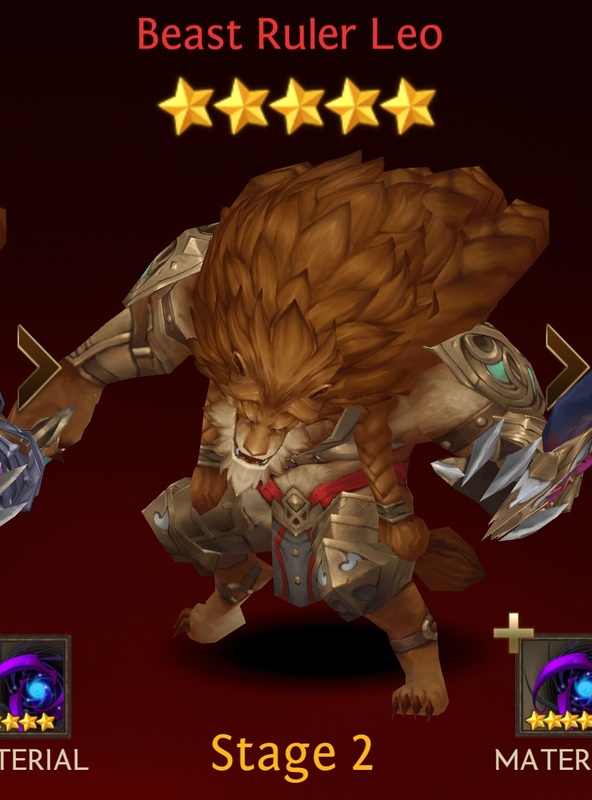 70 [Easy] Blazing Desert 3-10, [Normal] Blazing Desert 3-10, [Hard] Blazing Desert 3-10 3 Star Dark Element The beast Leo possesses the soul of a hunter. 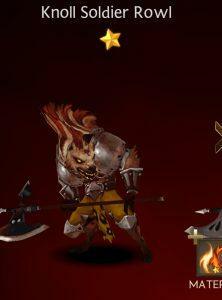 He began viciously to hunt down anything he found in Black Desert after deciding to rule the area. Death Scorpion Reaper Defensive 652 137 134 8 Pierce. Attack an enemy with 150% Physical Attack. Blind the target at a certain rate for 2 turns. 48 Green Shield. 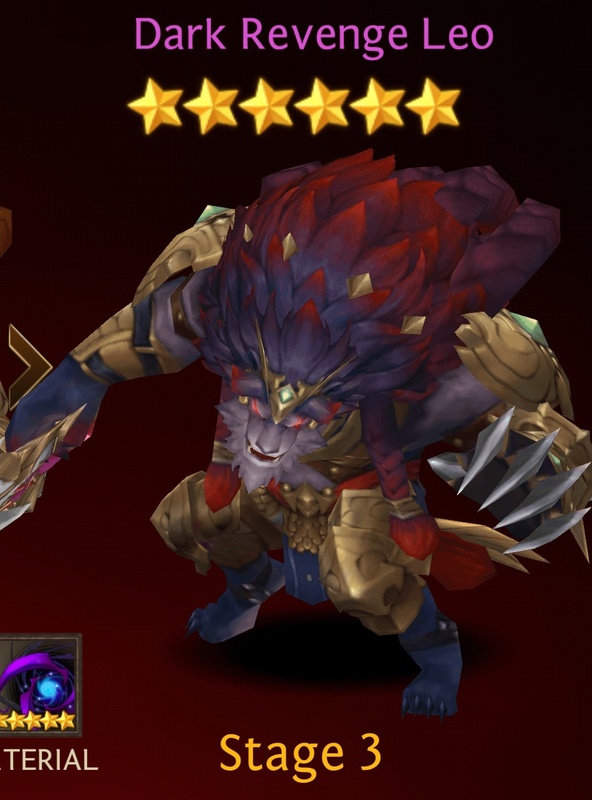 Increase Defense by 60% for 2 turns. 48 [Hard] Blazing Desert 3-6 – 3-10 None Reaper was nicknamed the “Death Scorpion” because once you see him, you won’t escape alive. Armadillo King Cooper Defensive 652 137 134 8 Rollin’! Attack an enemy with 150% Physical Attack. Blind the target at a certain rate for 2 turns. 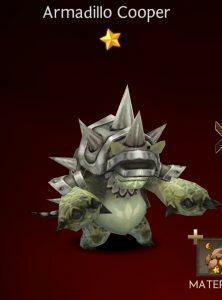 48 Spiked Shield. Increase all allies’ Defense by 30% for 2 turns. 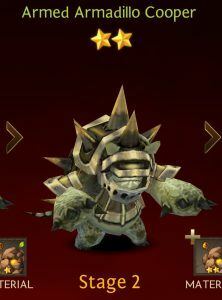 58 [Hard] Blazing Desert 3-6 – 3-10 None Cooper once used his armor to fend off Reaper from a group of Armadillos. Now they follow him everywhere as their leader. Charming Fox Yuri Magic 386 212 76 13 Spirit Drain. Attack an enemy with 140% of Magic Attack. Life Steal 70% of the dealt Damage. 60 Magic Orb. Attack all enemies with 60% Magic Attack. Silence one target or more at a rate for 2 turns. 70 [Normal] Blazing Desert 3-5, 3-10. 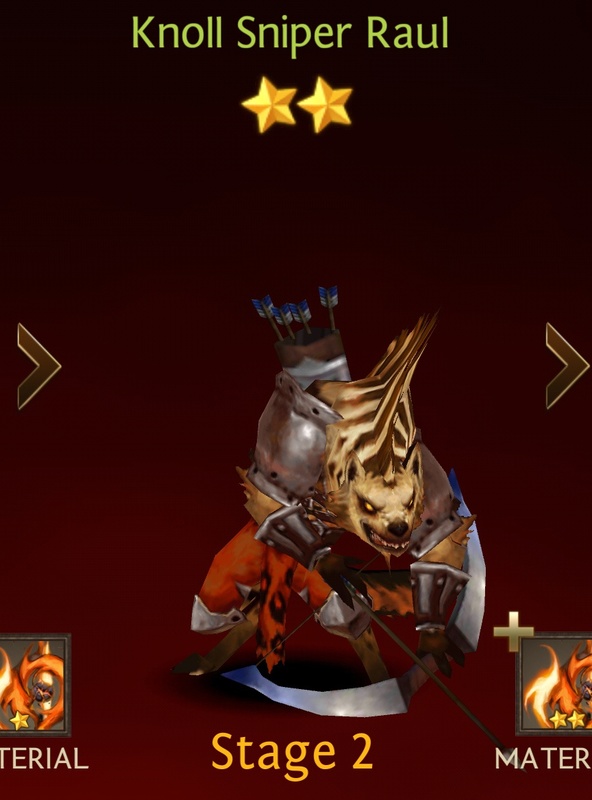 [Hard] Blazing Desert 3-5, 3-10 3 Star Water Element The extended exposure to the desert has altered this 500-year old fox’s coat color. She possesses surprisingly great powers and abilities. Knoll Commander Raul Offensive 386 212 76 13 Lethal Shot. Attack an enemy with 150% Physical Attack. Blind the target at a certain rate for 2 turns. 56 Double Target. Attack 2 enemies with 75% Physical Attack. 66 [Hard] Blazing Desert. None Recognized for his agility and archery, Raul now leads the group of Knoll archers. Knoll archers and snipers call Raul their commander. Knoll General Rowl Offensive 386 212 76 13 Ground Strike. Attack an enemy with 170% Physical Attack. 46 Knoll’s Vigor. Increase Physical Attack & Defense by 30% for 2 turns. 56 [Hard] Blazing Desert. None Equipped with the various spoils he gathered from Blazing Desert, Rowl exudes power that no other Knoll can match. Hound of Fodina Ricky Offensive 378 201 67 13 Ravage. Attack an enemy with 150% Physical Attack. 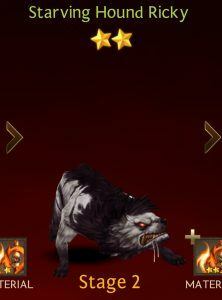 Bleed the target with 60% Physical Attack at a certain rate for 2 turns. 54 Hunter’s Instinct. 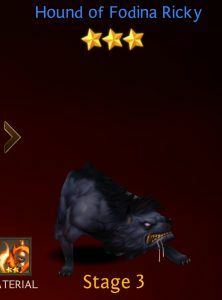 Increase Physical Attack by 60% for 2 turns. 44 [Hard] Blazing Desert. None Ricky was a starving hound before the Empress of Fodina took him in. Strangely, he obtained unknown powers while under her care. All 2-star Blazing Desert heroes do not have Passive skills. Desert Scorpion Reaper Defensive 500 103 103 6 Pierce. Attack an enemy with 140% Physical Attack. Blind the target at a certain rate for 2 turns. 48 Green Shield. Increase Defense by 55% for 2 turns. 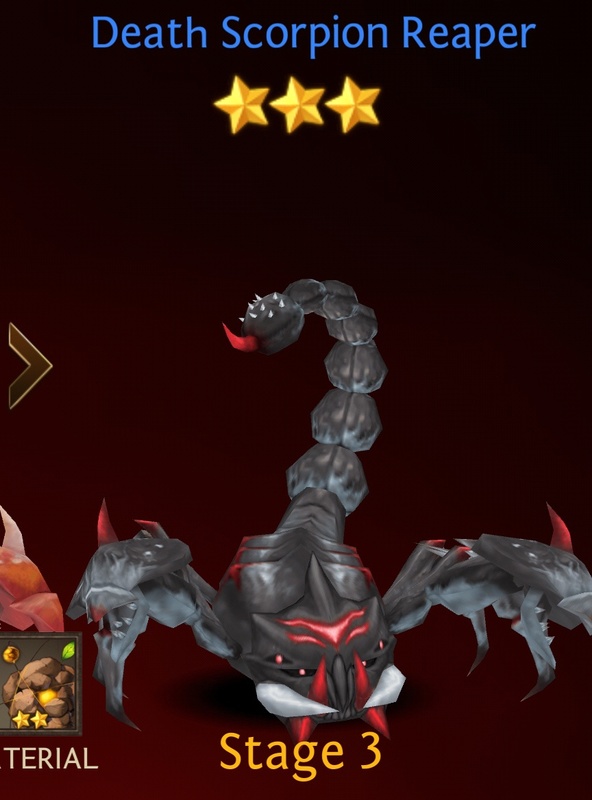 48 [Normal] Blazing Desert 3-6 – 3-10, [Hard] Blazing Desert 3-6 – 3-10 2 Star Earth Element Reaper’s venom grows stronger as he hunts lost travelers of the dark desert. Armed Armadillo Cooper Defensive 500 103 103 6 Rollin’! Attack an enemy with 140% Physical Attack. Blind the target at a certain rate for 2 turns. 48 Spiked Shield. Increase all allies’ Defense by 25% for 2 turns. 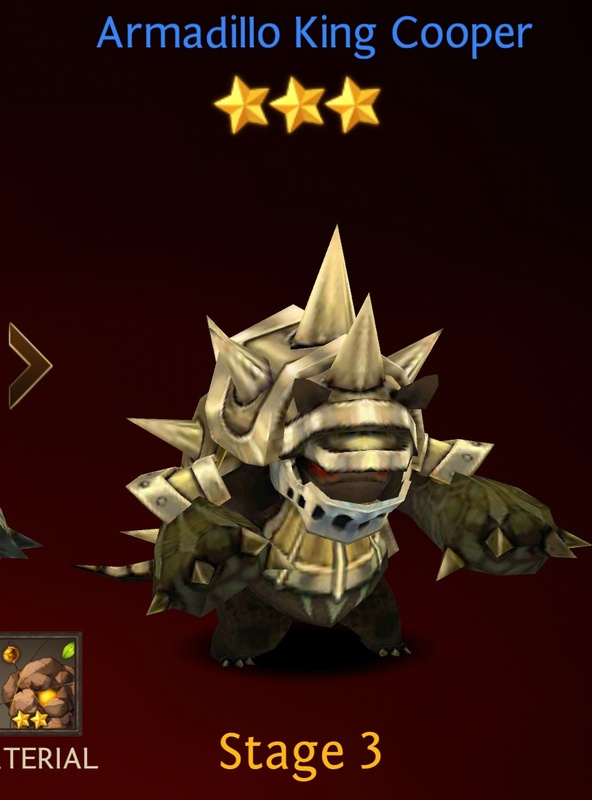 58 [Normal] Blazing Desert 3-6 – 3-10, [Hard] Blazing Desert 3-6 – 3-10 2 Star Earth Element His spiked metallic carapace greatly improved his defense. However, due to its weight, he sacrified his speed for defense. 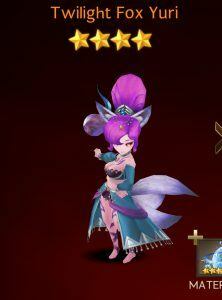 Three-Tailed Fox Yuri Magic 300 163 57 10 Spirit Drain. Attack an enemy with 130% of Magic Attack. Life Steal 60% of the dealt Damage. 60 Magic Orb. Attack all enemies with 55% Magic Attack. Silence one target or more at a rate for 2 turns. 70 [Easy] Blazing Desert 3-5, 3-10. [Normal] Blazing Desert 3-5, 3-10. [Hard] Blazing Desert 3-5, 3-10 2 Star Water Element Born 100 years ago, this fox learned how to disguise herself as a lady. Although she often looks bored, she is a very curious fox. Knoll Sniper Raul Offensive 300 163 57 10 Lethal Shot. Attack an enemy with 140% Physical Attack. Blind the target at a certain rate for 2 turns. 56 Double Target. Attack 2 enemies with 70% Physical Attack. 66 [Normal] Blazing Desert. [Hard] Blazing Desert. 2 Star Fire Element Through experience and training, Raul became a Knoll Sniper, providing effective coverfire from the backlines. Knoll Warrior Rowl Offensive 300 163 57 10 Ground Strike. Attack an enemy with 160% Physical Attack. 46 Knoll’s Vigor. Increase Physical Attack & Defense by 25% for 2 turns. 56 [Normal] Blazing Desert. [Hard] Blazing Desert. 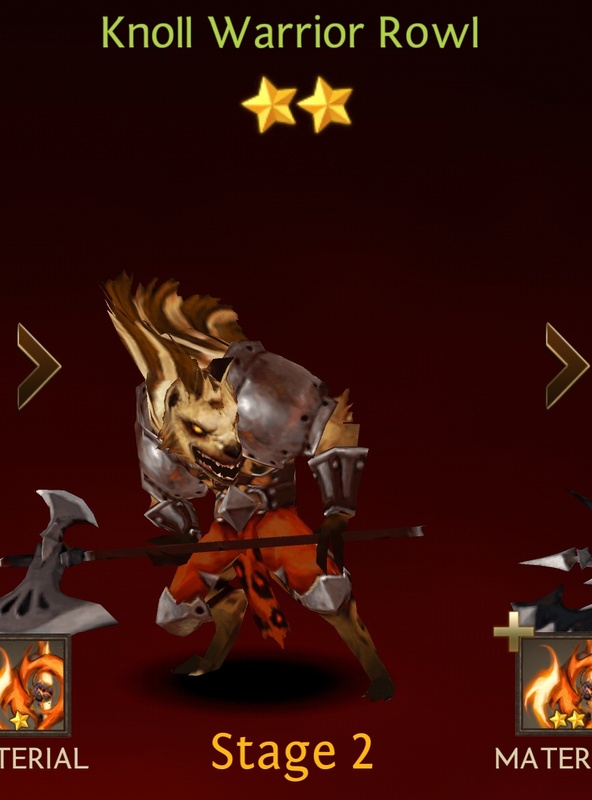 2 Star Fire Element Through numerous battles in Blazing Desert, Rowl became a Knoll Warrior, and leads his troops as a vanguard. Starving Hound Ricky Offensive 294 156 51 10 Ravage. Attack an enemy with 140% Physical Attack. 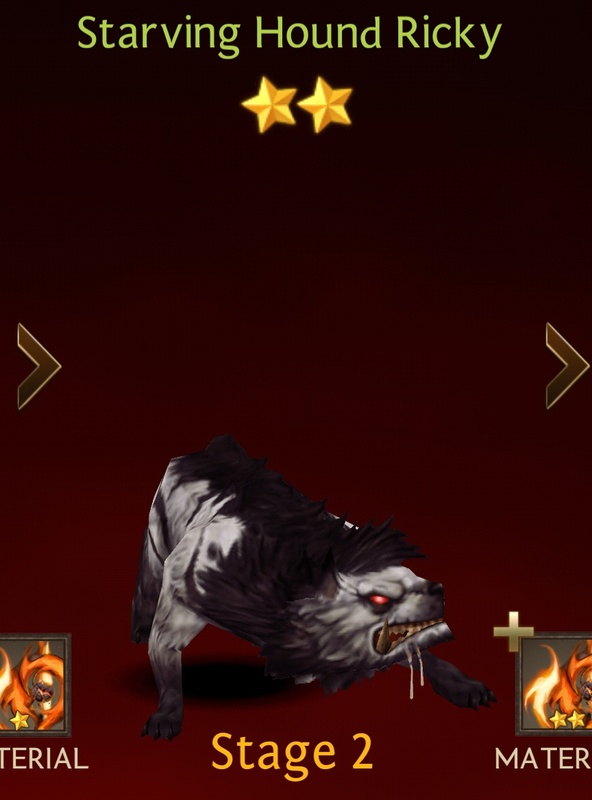 Bleed the target with 55% Physical Attack at a certain rate for 2 turns. 54 Hunter’s Instinct. Increase Physical Attack by 55% for 2 turns. 44 [Normal] Blazing Desert. [Hard] Blazing Desert. 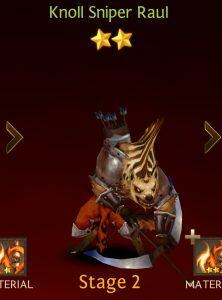 2 Star Fire Element Ricky grew violent and irrational from starvation that he left the pack to search for meat. 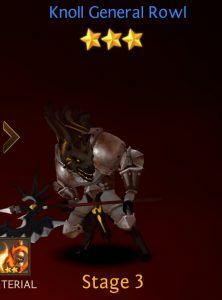 All 1-star Blazing Desert heroes do not have Passive skills nor Second skill. 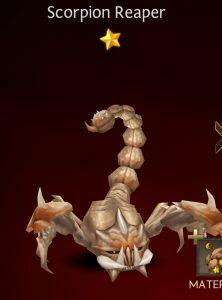 Scorpion Reaper Defensive 383 78 75 4 Pierce. Attack an enemy with 130% Physical Attack. Blind the target at a certain rate for 2 turns. 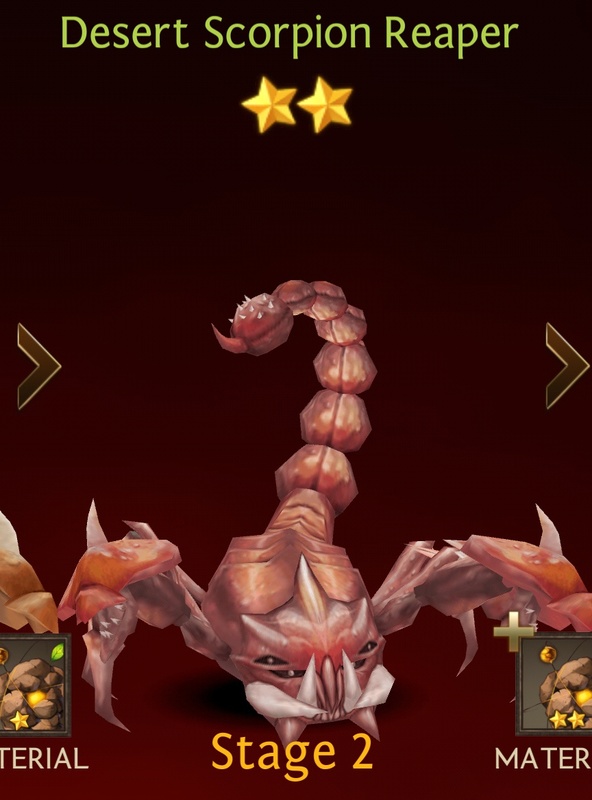 48 [Easy] Blazing Desert 3-6 – 3-10, [Normal] Blazing Desert 3-6 – 3-10, [Hard] Blazing Desert 3-6 – 3-10 1 Star Earth Element Reaper is a scorpion found in the eastern part of Blazing Desert. Because he is not fully grown, his poison isn’t too much of a threat yet. Armadillo Cooper Defensive 383 78 75 4 Rollin’! Attack an enemy with 130% Physical Attack. Blind the target at a certain rate for 2 turns. 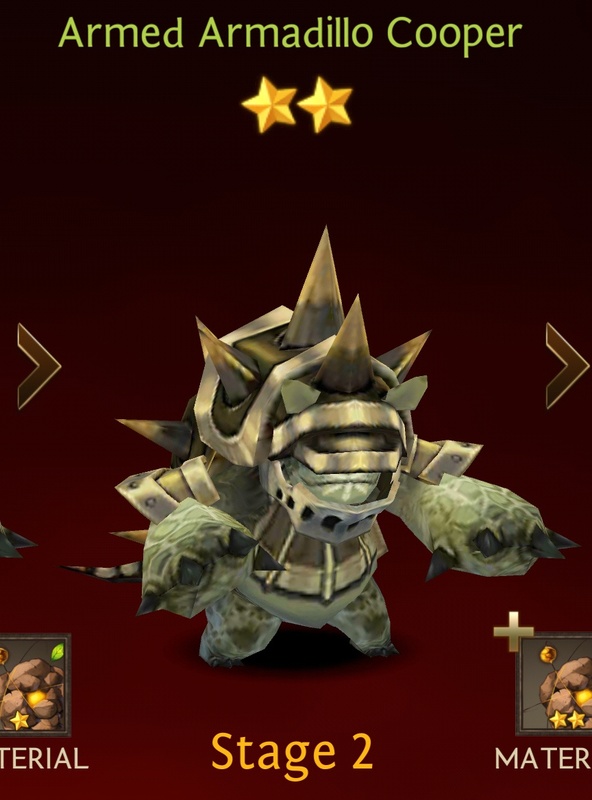 48 [Normal] Blazing Desert 3-6 – 3-10, [Hard] Blazing Desert 3-6 – 3-10 1 Star Earth Element Copper is a carapace monster found in the eastern part of Blazing Desert. Armadillio mean “Tiny Animal That Wears Armor” in Spanish. Knoll Archer Raul Offensive 228 120 41 8 Lethal Shot. Attack an enemy with 130% Physical Attack. Blind the target at a certain rate for 2 turns. 56 [Easy] Blazing Desert. [Normal] Blazing Desert. [Hard] Blazing Desert. 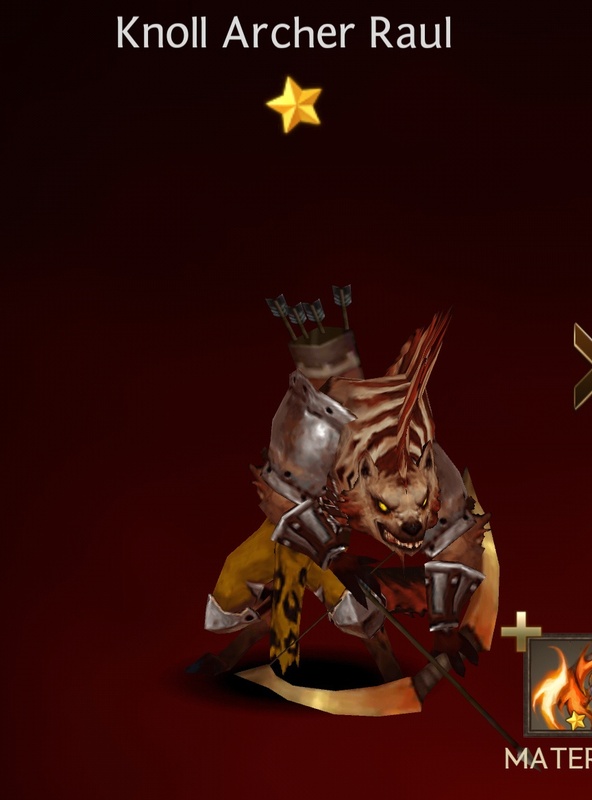 1 Star Fire Element Usually found roaming Blazing Desert with a pack of hyenas, the halberd or bow-wielding Knolls love fights where they outnumber the enemy. Knoll Soldier Rowl Offensive 228 120 41 8 Ground Strike. Attack an enemy with 150% Physical Attack. 46 [Easy] Blazing Desert. [Normal] Blazing Desert. [Hard] Blazing Desert. 1 Star Fire Element Usually found roaming Blazing Desert with a pack of hyenas, the halberd or bow-wielding Knolls love fights where they outnumber the enemy. Hyena Ricky Offensive 226 117 39 8 Ravage. Attack an enemy with 130% Physical Attack. 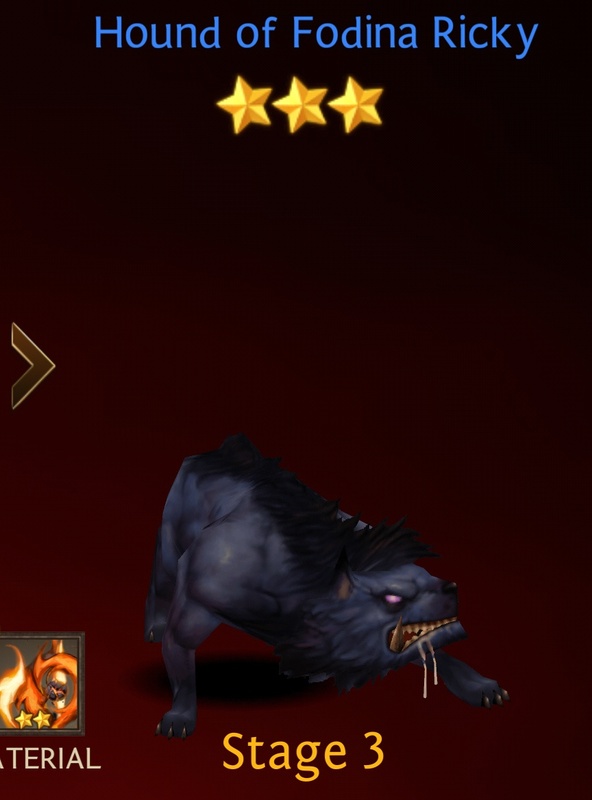 Bleed the target with 50% Physical Attack at a certain rate for 2 turns. 54 [Easy] Blazing Desert. [Normal] Blazing Desert. [Hard] Blazing Desert. 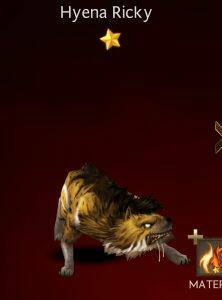 1 Star Fire Element A carnivore of Blazing Desert, this hyena if often found moving in packs.